Diamond Bank Plc has fired 200 members of its workforce as the economic challenges affecting the country continue to batter the financial services industry. This is coming two months after the bank announced that its profit before tax for the first quarter of this year fell to N6.04bn from the N7.94bn it recorded in the first quarter of 2015. Diamond Bank was said to have fired the workers on Friday. Confirming the development in a statement on Tuesday, the lender said the sacking of the 200 workers was in line with its strategic plan to drive shareholders’ value. The statement read, “Diamond Bank recently rightsized its workforce. The rightsizing was a core strategic exercise in line with the bank’s growth objective and the will to continue the drive to optimise cost and enhance value for the shareholders at the end of the business year. “In the bank’s last appraisal, only 200 staff whose performance scorecards were adjudged to be lower than the minimum required to drive its strategic growth plan for the business year were relieved, with the opportunity to seek employment in other organisations where their respective skills set and individual performances could be enhanced and optimised. However, unconfirmed reports had it that the number of workers who were asked to go was in the region of 400. FBN Holdings, the parent company of First Bank of Nigeria Limited, had a few weeks ago said it would reduce costs by gradually cutting down on its workers by 1,000. This came after the group posted over 80 per cent decline in its profit for the 2015 financial year. Bad loans in the banking industry rose sharply by 78.8 per cent to N649.63bn in 2015, indicating severe deterioration in the quality of the loan portfolio of the 22 banks, a Central Bank of Nigeria staff report presented to the Monetary Policy Committee revealed. The report also showed a general increase in bad/non-performing loans among the 22 Deposit Money Banks in the country. This was despite the 30 per cent decline in new loans granted by banks in 2015 to N5.78tn. According to the report, 18 out the 22 banks recorded increase in bad loans. Furthermore, the number of banks that exceeded the regulatory limit of five per cent for the ratio of bad loans to total loans rose from three in 2014 to eight in 2015, with three banks exceeding 10 per cent. Economic and financial analysts believe more lenders will lay off a significant number of their workers in the coming months as they battle bad loans, regulatory headwinds and slowdown in the economy. 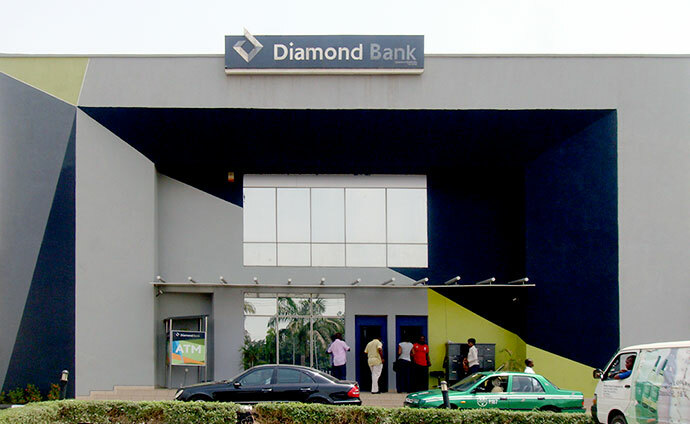 Be the first to comment on "Diamond Bank Fires 200 Workers"